Both sweet peppers--also called bell peppers-- and hot peppers--sometimes called chilies--are popular garden plants. Hot peppers are grown less often in the United States than sweet peppers, but both are members of the Solanaceae family. Pepper plants feature bright green leaves. Ovoid in shape, the leaves may be fat or skinny depending on the type of pepper. Pepper leaves are matte, not glossy. 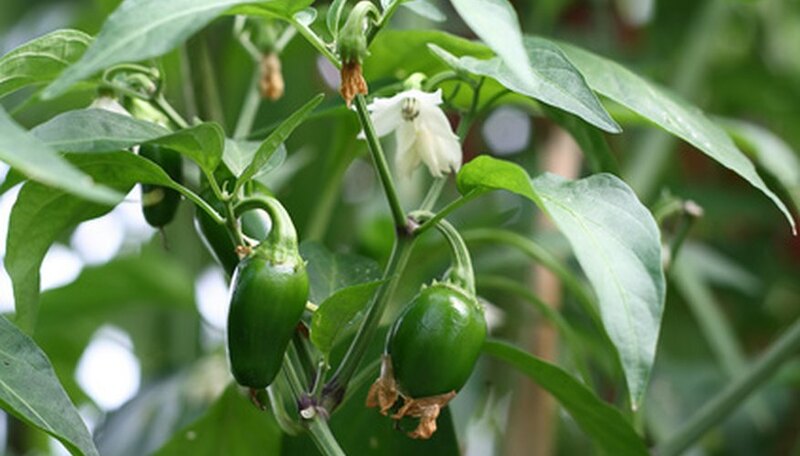 Pepper plants develop white or purple trumpet-shaped flowers with a bright yellow center. The fruit begins to develop from the flowers once the flowers have been pollinated. Gardeners eat the fruit of the pepper plant. Hot peppers or chilies are mostly long and cylindrical; some, like the habanero, are rounder. Hot peppers come in a variety of colors, from bright orange and red to pale green. Sweet peppers are typically rounded or elongated ovals and come in green, red, yellow and orange colors. Peppers have thick membranes inside and seeds. The seeds of sweet peppers are not eaten; the seeds of hot peppers may be eaten to add extra spice and flavor to a dish. 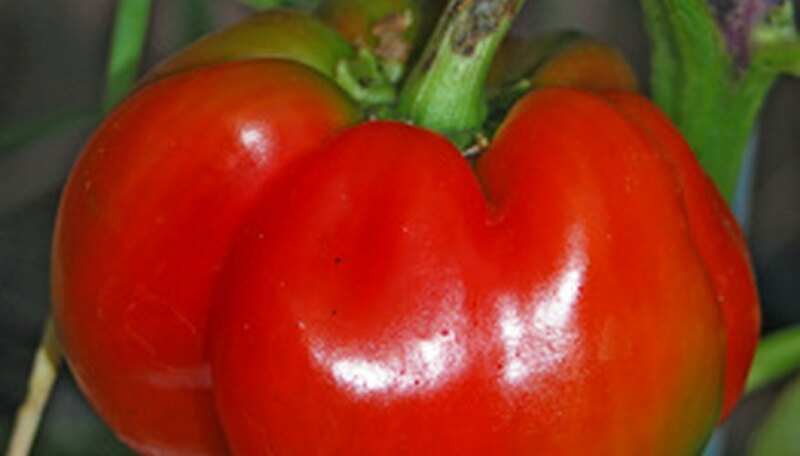 Both the sweet pepper and the hot pepper are in the garden pepper family. Peppers can be eaten when underripe (or green), ripe (or colored), or cut and dried for later use. As sweet peppers mature they become more sweet, and as hot peppers ripen they grow hotter. Essential Garden Guide recommends harvesting peppers per personal preference, either ripe or underripe. Native to South America, pepper plants were used by Aztecs and other ancient civilizations and made their way to Europe via Christopher Columbus. The name "pepper" comes from the spicy flavor of the hot pepper, which is similar to the spice black pepper. Peppers become a favorite vegetable of the Europeans and were introduced to Asia by the Portuguese. Early American colonists also used a lot of peppers in their cooking.